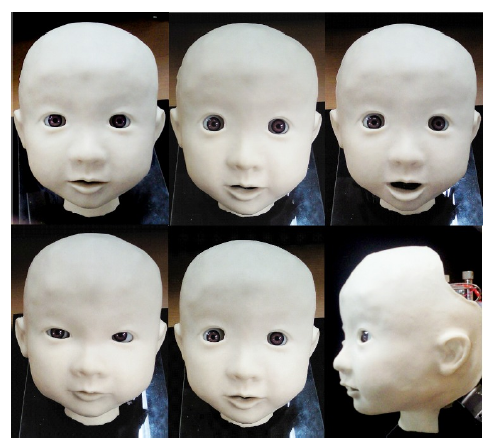 Japan has a new, creepy baby robot. Following kid-like humanoids M3-neony/M3-synchy, M3-Kindy and Noby and a bunch of similar robots, we can now give you the Affetto (Italian for “affection”). The Affetto is the brain child of Prof. Minoru Asada (who also developed the M3-Kindy and Noby from last year). In contrast to aforementioned robots, Affetto at this point is just a robotic head that’s supposed to look like that of a one to two-year old child. It can move its eyes, jaws, eyebrows, and lips, thanks to a total of 12 joints. Even though Affetto isn’t complete yet, the level of realism is pretty high already (judging from the videos embedded below). In computer simulations, Affetto was also able to reproduce vowel sounds used by humans and mimic facial expressions. 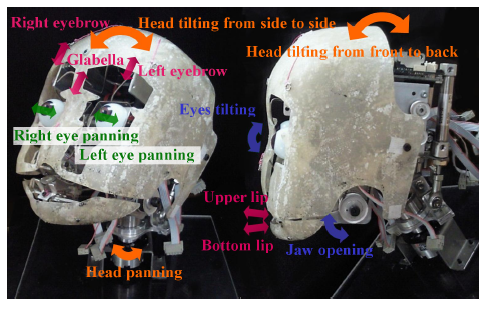 The goal here is to explore human cognitive development processes in children and infants through human-robot interaction and communication.